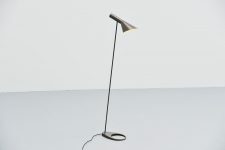 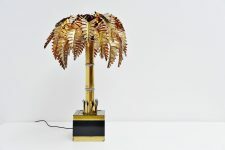 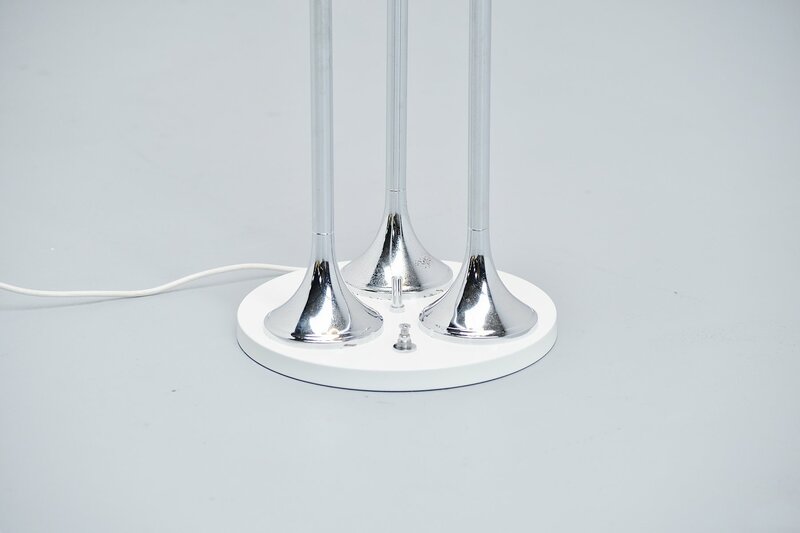 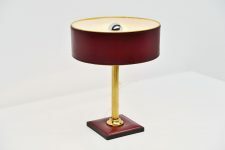 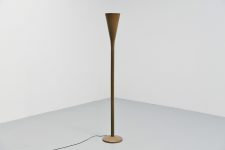 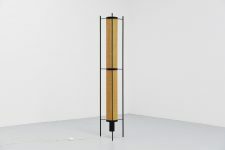 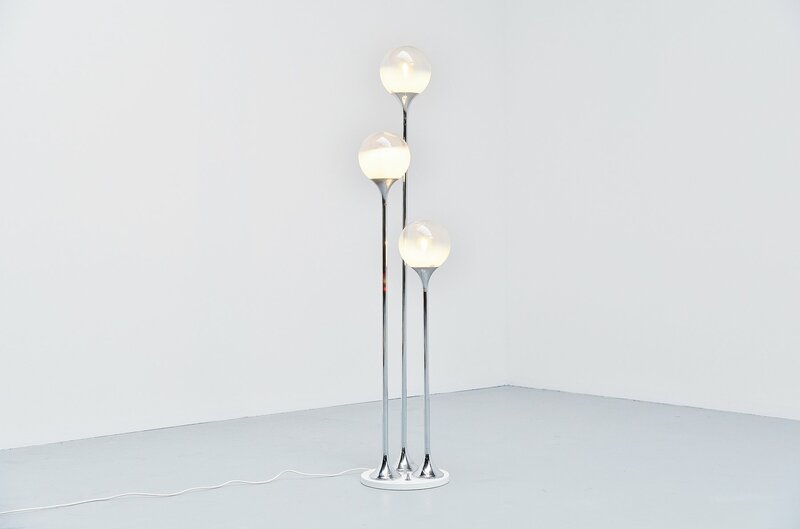 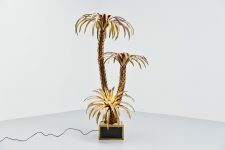 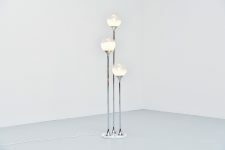 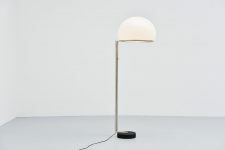 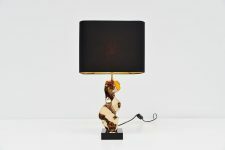 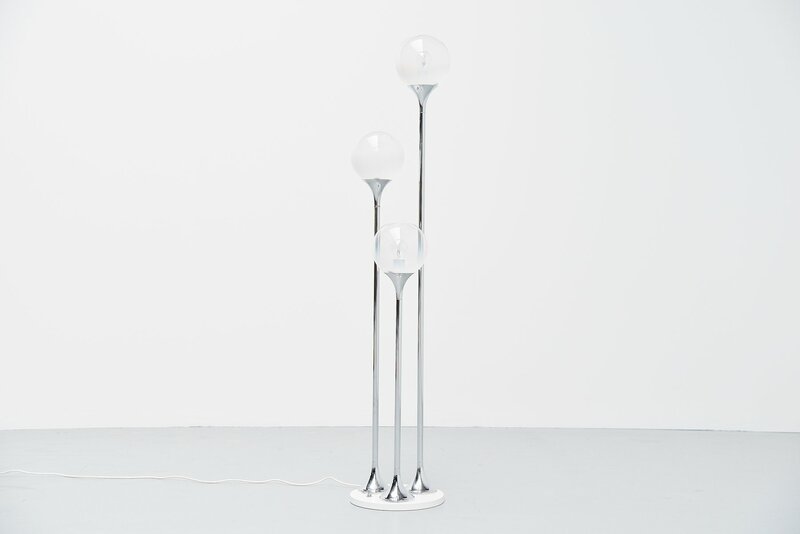 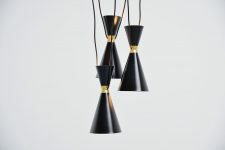 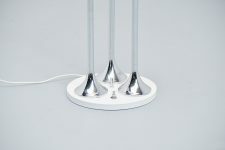 Highly decorative floor lamp designed and manufacturer by Targetti Sankey, Italy 1960. 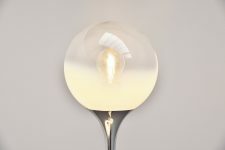 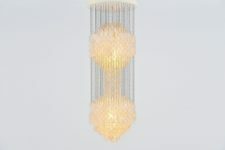 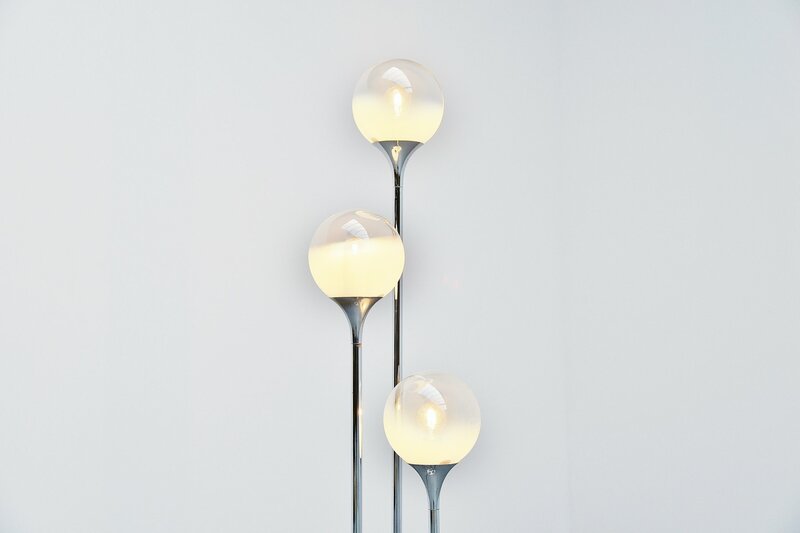 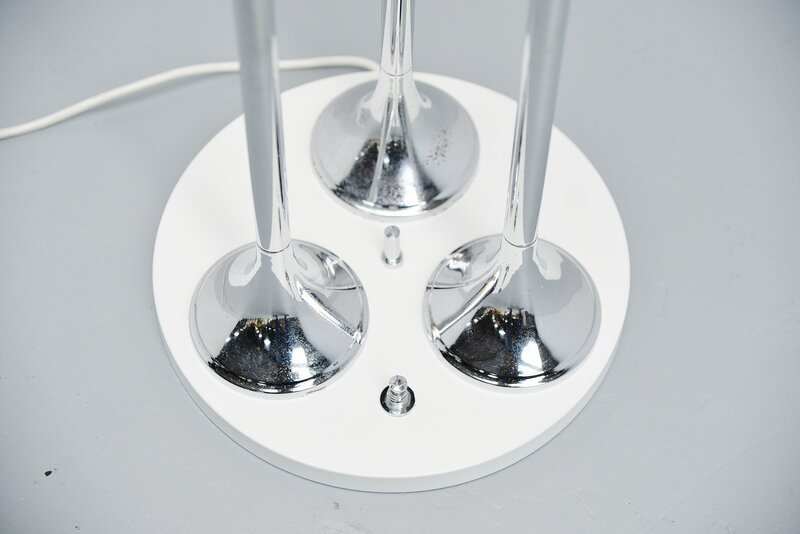 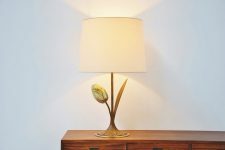 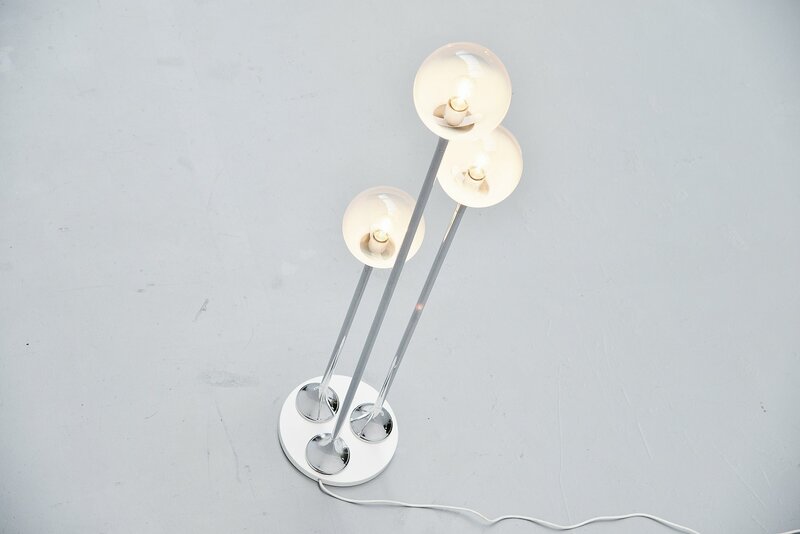 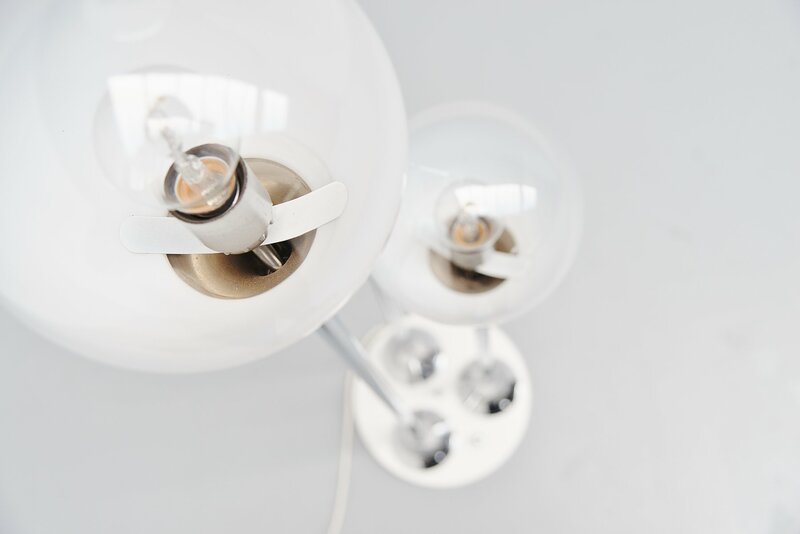 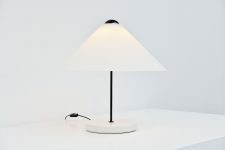 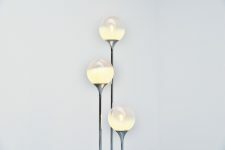 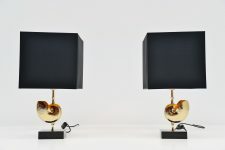 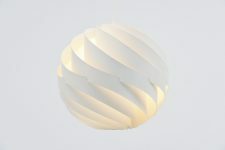 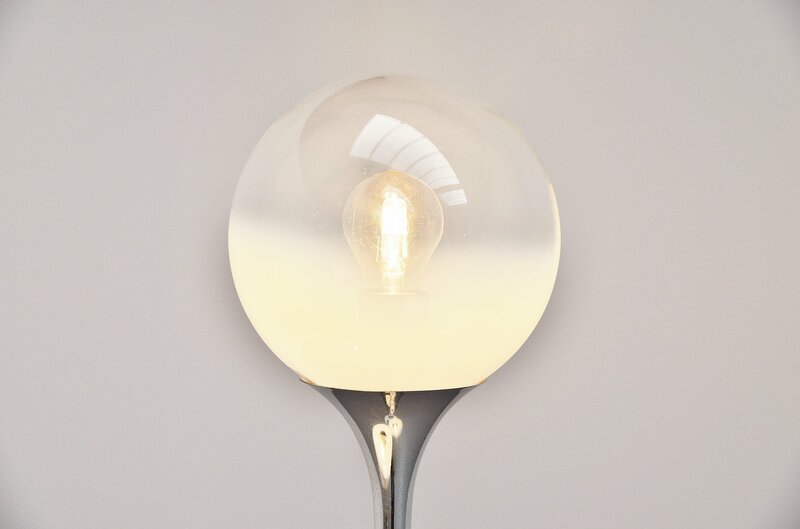 This lamp has a white lacquered metal round base, 3 chrome arms to support the semi transparent and frosted glass globes that give a very nice light effect when lit. 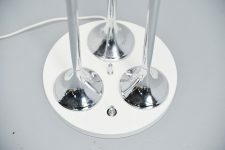 The globes can be turned on separately using the switch at the base, there are 3 positions. 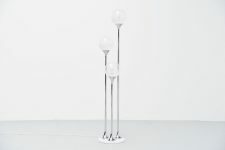 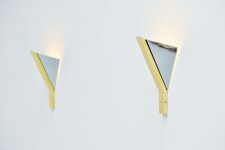 Very nice and functional floor lamp.